Do you covet the professionally decorated Christmas trees in shop windows? 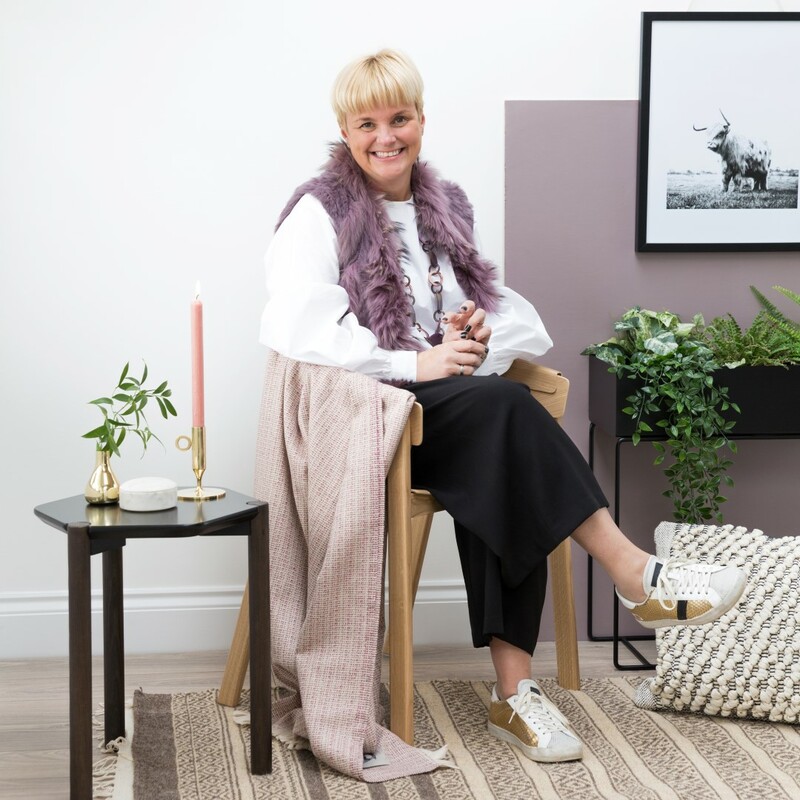 Amara’s Creative Director, Sam Hood, is here to share 8 simple steps to achieving an impeccably styled Christmas tree in your home. 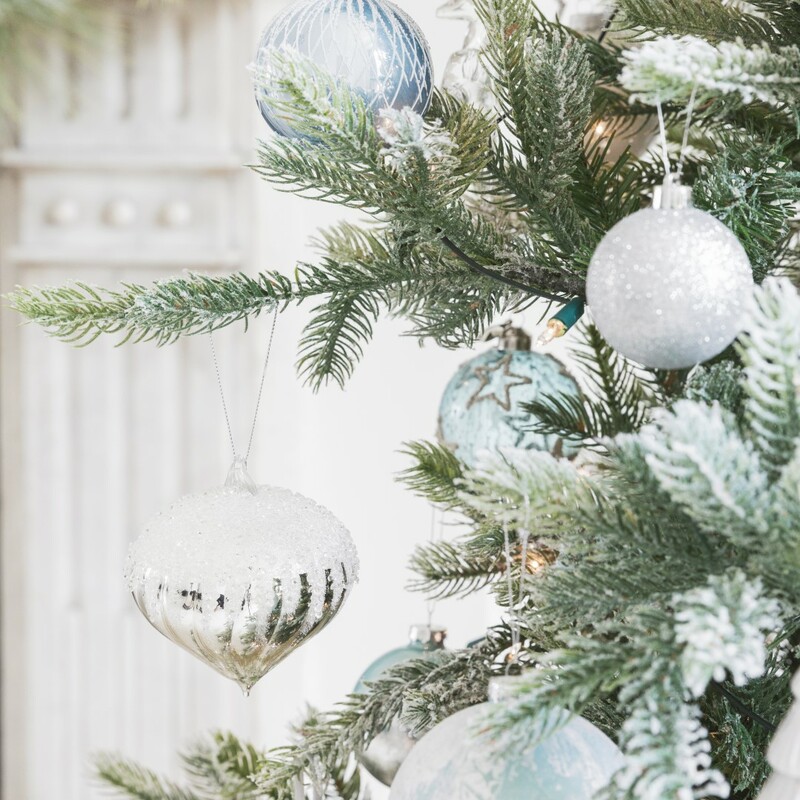 Scroll down to skip to the fully decorated Christmas tree, our instructional video, or to see the best insider tips we gathered from decorating experts. First things first, I get the tree out from where it’s been hibernating for the last 11 months and check to make sure it’s still in good condition. I like to use an artificial tree as we have our tree up for most of December and it means I can perfectly position the branches. Most artificial trees have branches which are colour coded or numbered to making them each to see what length goes where. If you are buying a real Christmas tree, make sure to invest in a good quality one with no gaps to achieve the classic full look all the way to the top when it’s decorated. If you’re a perfectionist, this is the step that can take the most time and for good reason. 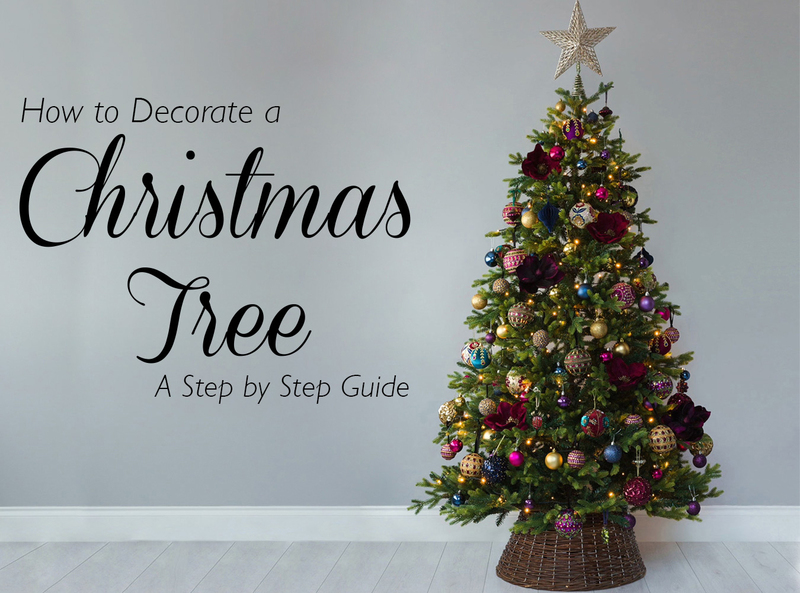 The branches create the canvas for your decorations so they need to be arranged perfectly. 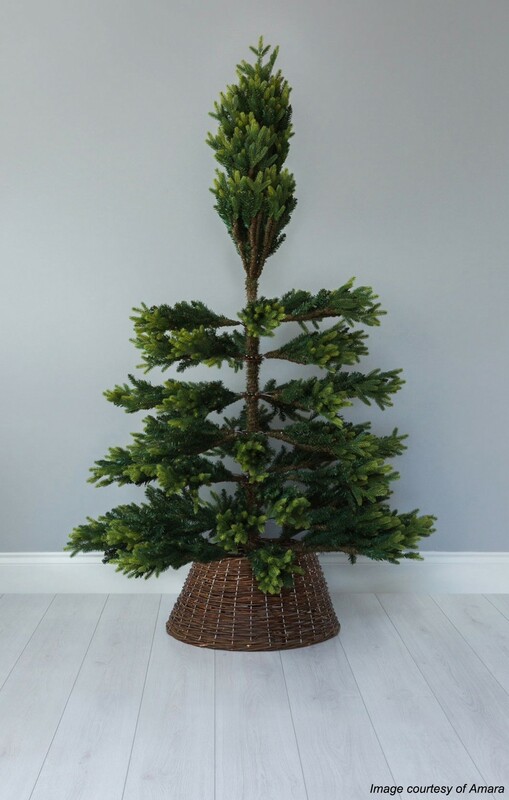 Starting with the bottom layer of branches and working your way up, gently straighten each tip and fan them out in different directions from the branch to create a natural look. Take a step back after you have arranged each layer to make sure all the branches are sitting well together and you don’t have any gaps. Make sure you have enough lights to wrap round each layer of branches and again start at the bottom and work your way up to the top. The lights should sit closer to the trunk than the decorations to create a warming glow peeking through the branches. Your core baubles are those in your main colour and are ones you normally get in large sets so you can easily create the base for the rest of your decorations. These often plain baubles in mirror polished, matt or even glitter finishes start off your Christmas colour scheme and make your bolder decorations pop when you add them later. They are usually in metallic or white tones which are a fantastic foundation for more daring hues. This is your chance to layer your other festive colours throughout your tree. 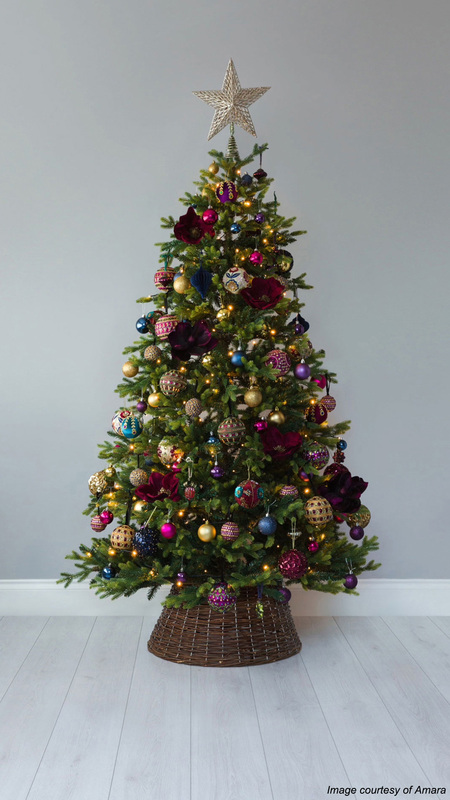 For the tree in the video I went for the opulent jewelled tones of our Winter Bloom trend so have added plush fuchsias, purple and teals to the gold core baubles, and as you can see, the decoration is starting to take shape. Make sure to layer these colours evenly throughout the branches so you don’t have too many of the same shade in one area. This is my favourite part – adding the special decorations. These could be the more flamboyant decorations you only have a few of, or the special one-of-a-kind designs you have collected on your travels, or the particularly large pieces. Again spread these out amongst the branches so they don’t sit too close to each other to achieve the full effect. For this tree I’ve added beautiful jewel embellished and flower embroidered decorations in complementing shades to the colourful baubles I added in the last step. This stage is for the real showstopper decorations which will really set your tree apart from the rest. Real or artificial flowers have been popular in recent years as finishing touches for the tree and these deep pink flowers bring the tree to life. 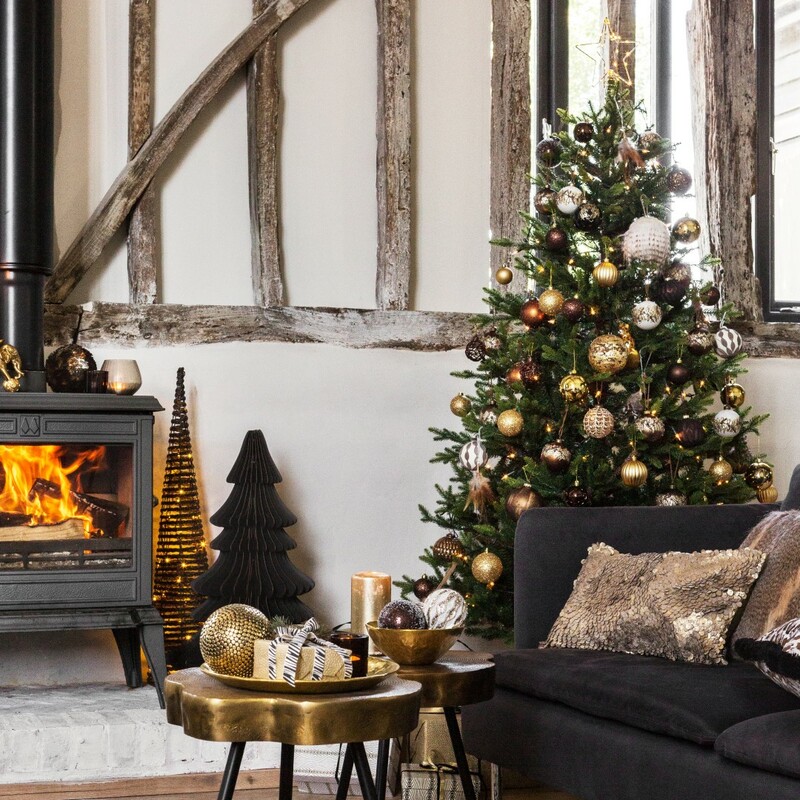 For a topper I always go for the classic star but you could use a large statement decoration instead to give your tree a contemporary twist. The final flourish for any tree is of course the presents underneath. 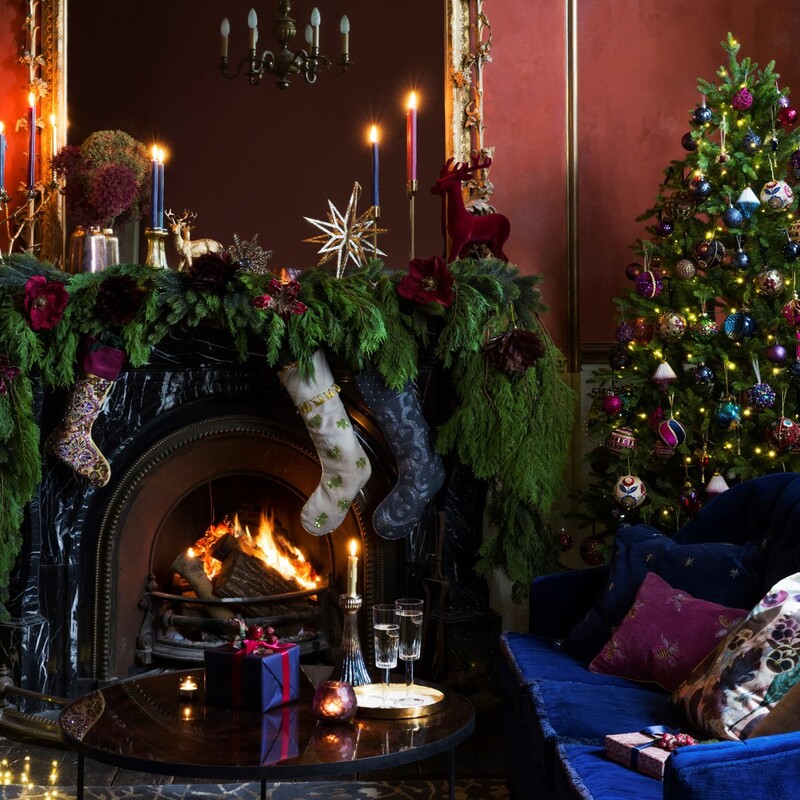 So finish your perfectly styled Christmas tree with a small pile of impeccably wrapped gifts. 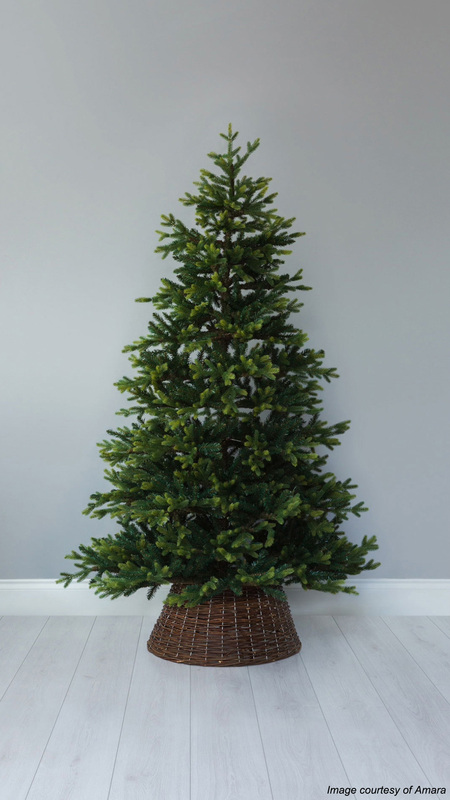 Getting these wrapped early also means more time to relax closer to the big day, so be prepared and tick that job of your list when the tree goes up. 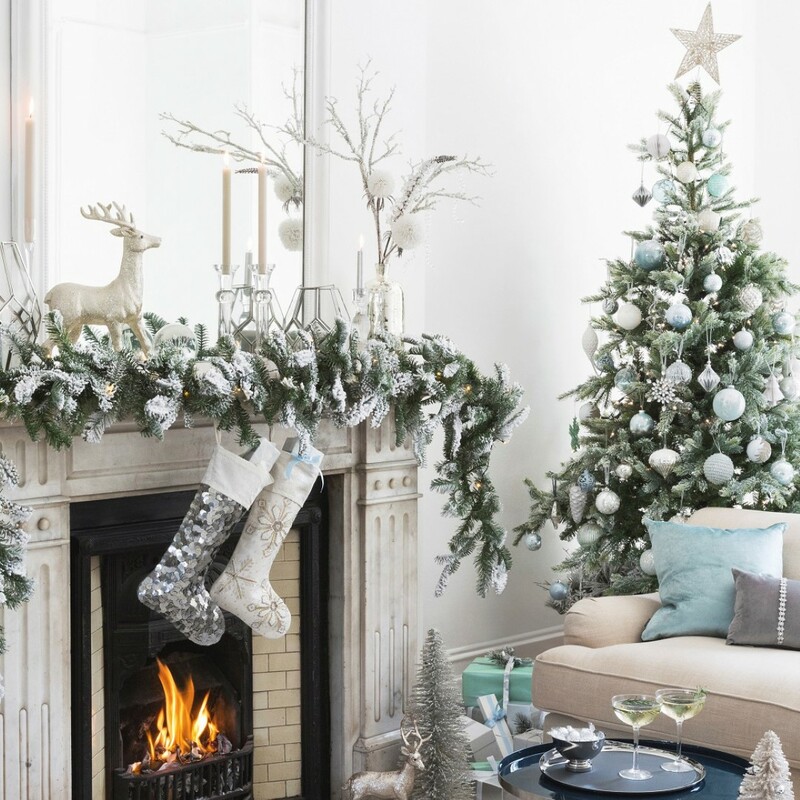 …Or scroll down to see the best insider tips from Christmas tree decorating experts. Choosing a theme for your Christmas tree can be a difficult decision. Modern or traditional? Colourful or neutral? I would suggest choosing a theme that fits in with your home decor and will last for years. Picking something uber-trendy this year might be completely out of fashion next Christmas. 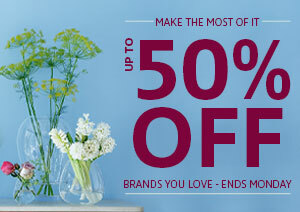 More traditional styles will stay on trend for longer, which saves you having to buy new decorations year after year! My top tip to make the most of your Christmas tree lights is to purchase some small mirrors, glue some string to them and hang them in the tree behind your Christmas lights. This is a great way to multiply the luminance without costing any extra in electricity bills. Forget old tinsel, there are lots of contemporary garlands available that will dress your tree in style. Try metallic beaded garlands, mini pom-pom garlands, sparkling gemstone style garlands or artificial leafy garlands. If you don’t have a garland long enough to cover the whole of your tree, add several of the same style to complete the look. 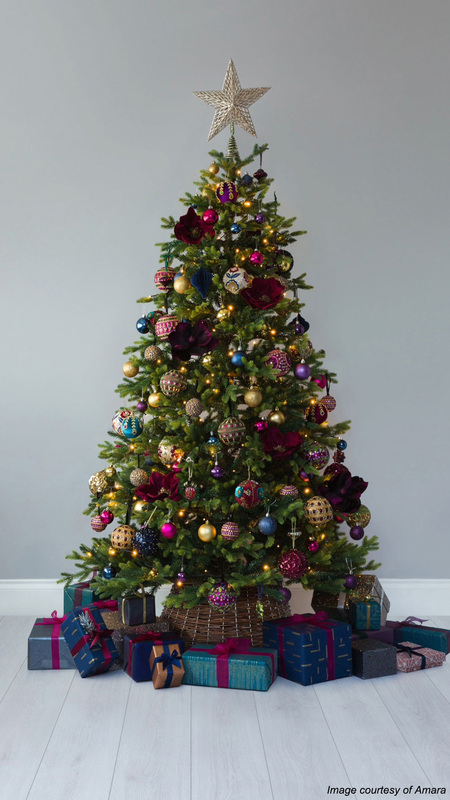 Whichever theme you choose for your Christmas tree this year, elevate its appearance with standout or standalone feature ornaments. 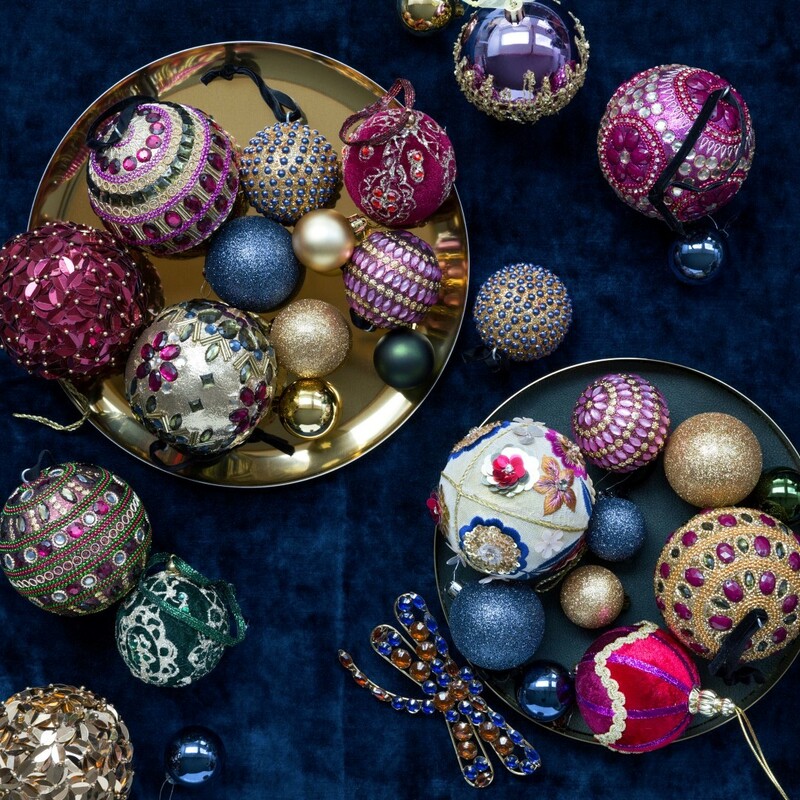 Be it traditional or contemporary, accompany your usual collection of baubles with colourful blown glass ornaments, whimsical feathered creatures – or simply opt for an extra handful of flamboyantly embellished baubles to mix throughout your current scheme! Tree toppers are important because the eye is naturally drawn to the very top of the Christmas Tree – they’re the ‘cherry on top’! One of my personal favourite tree toppers is an origami paper folded star. They are very light and easy to attach, and you can scale them up quite big, due to their almost weightless form. You can either buy pre-scored card stars to simply fold and make, or, make your own from scratch involving all the family, a YouTube tutorial and some mulled wine! A paper folded star lends itself to folksy, Scandi-style tree decorations. I think they look great in recycled newsprint, pages from a book, or even in black card (yes, it’s festive!) for a crisp, contemporary silhouette.